Ends Feb. 29! ... the Ultimate Sun Oven Package, 34% off! The webinar video, this Ultimate Sun Oven Package, and the steep discount all ends Monday night, Feb. 29. Within the next few weeks, after years of stalling and evasion, Iran may at last agree to curb its nuclear programme. 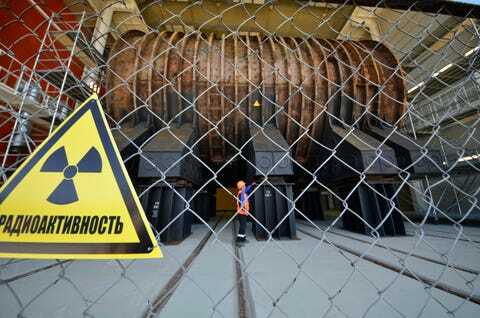 In exchange for relief from sanctions it will accept, in principle, that it should allow intrusive inspections and limit how much uranium will cascade through its centrifuges. After 2025 Iran will gradually be allowed to expand its efforts. It insists these are peaceful, but the world is convinced they are designed to produce a nuclear weapon. 2 Days only. Fuel Savings. Extra $50 off. The easiest fire you'll ever light! The ultimate fire solution. For the casual hiker or weekend camper, ReadyFuel helps keep supplies to a minimum. ReadyFuel is light and easy carry. It can be counted on to start a fire, burn hot, boil water, and cook a meal. When it's finished burning simply blow away. Perfect for Extreme Conditions. ReadyFuel will surpass the expectations of adventurers, extreme athletes, and wilderness explorers. ReadyFuel can be transported globally by airplane and will burn at high elevations. ReadyFuel from THE READY PROJECT on Vimeo. By simply applying a small amount of PRI-D for diesel or PRI-G for gasoline at the time of storing, the fuel will remain refinery fresh and stable. This freshness will hold for months, even years. With periodic re-treating of the fuel, it will remain fresh indefinitely. You need to start a fire in an emergency situation. You have limited resources, and you do not have any wizard nearby... What will you do?? No moving parts, no flint, no fuels, no gases, and no batteries required! Tinder Hot Box Solar Fire Starter™ (Patent Pending) is a tinder storage box that can start a fire using solar energy, and the inside top cover is also a signal mirror! It is used to store fire starting tinder in the air/water tight tinder box portion of the unit that is sealed from the elements using an o-ring seal. This keeps the damp air/water out so your tinder always stays dry! Labels: alternative energy, Boil water, camping, Fire Starter, Natural disaster preparedness, Solar Fire Starter, survival, survival gear, Tinder Hot Box, Tinder Hot Box Solar Fire Starter, Why prepare? What are your options when you are in a storm ? How would you cook food ? Would you scramble for twigs, firewood ? Would you need fuel to light a fire to cook ? We have options. No matter what the conditions are our stoves will help you out there. Extending 25% off on our stove collections for members and non-members alike. Optimus has added the patent pending Powerline for precision flame control at a distance from the flame by simply twisting the fuel hose. Optimus Nova+ also offers the stability of wide pot supports that fold around the burner for packing convenience and its serrated burner arms assure that the pan stays in place. The VitalGrill Stove is a unique stove that is ENVIRONMENTALLY FRIENDLY and specially designed for outdoor activities and survival situations. The flame, fed by a blower fan, produces up to 20,000 BTU of heat - two to three times more energy than traditional portable stoves. No matter how bad it gets out there, you'll be doing fine. It didn't earn the nickname "Himalaya Stove" for nothing. ite simply, Safecastle is in the business of providing steel-plated peace of mind. Over 500 shelters have been built in the last 15 years and have literally saved lives. Safecastle shelters are designed by a structural engineer certified in every one of the continental United States. Our Storm Shelters (and fallout shelters) meet or exceed all F.E.M.A. guidelines. Safecastle prefabricated Fallout Shelters are made of steel up to 7/16" thick. The primary differences between our storm shelters and our fallout shelters are found in modifications to the door, steps, and air vents to make them virtually impervious to radiological, biological, or chemical contamination. They are also referred to as NBC shelters (protecting from Nuclear, Biological, and Chemical contamination). This shelter can be made smaller or larger to fit any needs or wants that you may have. We can add bedrooms, more storage, gun safes, beds...the possibilities are literally endless. Our shelters are ideal for churches, fire departments, town halls, schools, etc. We now build large shelters for businesses and communities. Our safe rooms can go inside any home or building that is going to be built, or outside existing homes or businesses. In order to place orders you need to call us and we will take it from there. The Turtle Tuff is not a tent, but a very strong home away from home. It can be used in an emergency (earthquake, hurricane, etc.) to relocate to a safe area and with a few hours set up, have a safe dwelling for the family in any weather. Alternative energy is the key to the future. Solar power as a backup source of energy for preppers and outdoor adventurers is a must-have. Safecastle offers the lowest prices anywhere and our Loyalty Royalty program for members gets you a rebate gift certificate at the end of the year ... and of course we offer FREE shipping to the lower 48. Act Fast for a FREE Blade with Qualifying Purchases! For a limited time we are giving away top-quality survival knives for free with every qualifying purchase. Click here for more info. Switch 8 Solar Recharging Kit !! The Goal Zero Switch 8 solar recharging kit combines the Switch 8 battery pack with a Nomad 3.5 solar panel, allowing you to gather and store solar power, and recharge your devices almost anywhere. The Yeti 1250 Solar Generator Kit are made of weather resistant materials which have been UV treated, aside from that they are built tough! Trusted quality from Goal Zero. Communication and navigation are essential needs in a disaster but many solar kits won't touch the Yeti 1250 Solar Generator Kit with its ability to power power hungry appliances such as refrigerators, freezers & home health care equipment like CPAP machines. With this Yeti 1250 Solar Generator Kit you can quickly charge up your cell phone, GPS navigation tool, or other portable electronics too making tough situations a whole lot easier to handle.